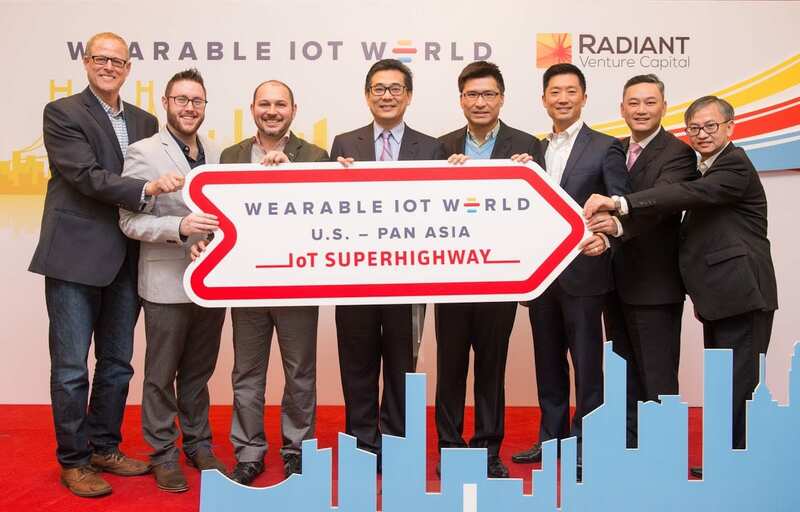 HONG KONG, January 19, 2016 – Wearable IoT World (WIoTW), based in San Francisco and heralded as the world’s first accelerator dedicated to the Internet of Things (IoT), wearables and emerging technologies, today has officially launched the U.S.-Pan Asia IoT Superhighway accelerator in Hong Kong. Closing a round of HKD 35 million (USD 4.5 million) led by Radiant Venture Capital, the accelerator will focus on driving IoT innovation and entrepreneurship in Hong Kong and Asia while pushing forward IoT development globally. Other investors include TEEC Angel Fund and wCapital. Hong Kong Cyberport Management Company Limited (Cyberport) is the official partner of this initiative where it will house WIoTW’s executive office and WIoTW Labs. “The HKSAR Government welcomes innovation and technology companies from all over the world to set up offices in Hong Kong. With the establishment of the Innovation and Technology Bureau, we have further strengthened our efforts in coordinating, supporting and expediting the development of Hong Kong’s innovation and technology industry. We applaud the launch of the US-Pan Asia IoT Superhighway accelerator program which will boost IoT and wearable innovation, nurture startups and drive entrepreneurship in Hong Kong. In the 2016 Policy Address, the Chief Executive stated that the Government will set aside HKD 2 billion to set up an Innovation and Technology Venture Fund to co-invest in local startups with private venture capital funds on a matching basis. Through the joint forces of different stakeholders, we intend to further intensify the development of startups, entrepreneurship, business angels and accelerators in driving high-value innovation and technology industry,” said Ir. Allen Yeung, Government Chief Information Officer of the HKSAR.